Azmot Ha'ral sat on the Portsmouth under the evening sun. A hood covered his sensitive skin, and his feet dipped into the cool water. He was observing a gathering of Rukh on the waterfront - they were gently fluttering through the air, coalescing into a brilliant stroke of light. It was times like these that the young magician treasured, and commemorated with a traditional herb ceremony. As he created O's of smoke, the youth watched the Rukh dance and eventually begin to migrate towards further fates. Eventually, the show was over, and the ceremony complete. He withdrew, dried, and clothed his feet appropriately before standing. He liked to stimulate multiple senses, to truly dedicate such occasions to memory. Just as he stood, he heard a loud thud, which was followed by both a shriek and a crash, playing in harmonic discord. The sounds came from behind him - specifically, from a thin, tall man. He wore a green robe, and was contorting his limbs together like wrinkled paper in fear and shock. "My purse! They stole my purse!" A figure draped in black dashed through the crowd. Something was off about him - the man wasn't actually wearing in black, but was exuding sickly-looking Rukh. This discovery was quite peculiar, and worth investigation. He took a jog, wanting to not lose the trail of black rukh, while also not wanting to appear to be chasing the thief. Amaya sighed, and understandably so. She'd been in Reim for a rousing total of under 10 minutes when something managed to go south for another person. She rolled her shoulders back, leaving payment on the table for her food as she flicks the razor scarf around her neck with nonchalant precision. She liked this place for now. The stone architecture and streets made it much easier for the soft soles of her shoes to keep silent in comparison to the heavily wooden structures of her home. Still, there was much to be learned about silence in the city as she slipped into an alleyway, scaling the nearby inn with a quickness. The roofs were also very flat here, a small blessing for her movement she counted among the others. Her form swiftly passed from rooftop to rooftop as she tailed the assailant, keeping herself out of sight. Her eyes strayed slightly, and she noticed another man following the exact same path the criminal had gone on. An ally of the thief? It didn't matter to her. Even if he were, he didn't look to pose any threat at all. She'd handle them both if she had to. She observed them both. One erratic, the other cautious. She concluded eventually that the boy was simply following the other, and that this task would be miles easier than she thought. Her hand dug into her cloak, finding a paper orb that shook with the faint scent of de-hydrated toxins. She tugged the scarf around her face, sparking the side of the casing against the roof before she tossed it down against the cobblestone, the Miasma bursting directly in the alleyway the villain had turned down. Her body threw itself the other direction just as the boy rounded the corner, her perfectly silent landing a rather unnerving occurrence. She turned to glare at the boy, almost as a form of intimidation, before she turned her attention back to the panicked thief. "Hey, dumbass. The way I see it, you're stuck with three options. The first, is come to me and turn yourself in. The second is to run through the smoke and escape, and the third is to off yourself. I don't think any of those really benefit your goals, so why don't you do me a favor and chose the option that just makes all of our lives here easier?" The man of course, turned and ran directly through the smoke, which sent Amaya into a fit of chuckling. She slid her gaze to the boy. "Now we wait. The vomiting will start soon." She turns to face the boy, "So, why were you following this buffoon?" Description: Amaya hurls a smoke bomb at a target location, a toxic gas spreading out from its point of impact to swiftly fill a 10m area. The noxious gas causes intense disorientation and nausea to anyone within it. People within the gas are slowed and easier to hit until they leave the cloud. The gas remains in the area for 3 turns before dissipating. 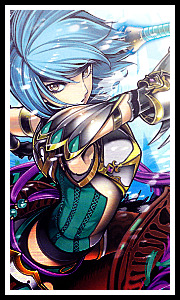 Description:Amaya spirals her weapon around her opponent's neck or torso, slicing into them and yanking them off balance. The resulting move grounds her opponent, forcing them to either fight prone or waste time getting up. Amaya also releases her weapon after her opponent begins falling, pulling away into either an offensive or defensive stance. “What the hell kind of display was that? I thought you wanted to display the strength of a Corvus, not make them the laughing stock of Reim! I told you once, and I’ll tell you twice, you should have just fought alongside that damned bear from the get-go. Hell, why did YOU even let him get into that arena without bringing you along?” Apollo’s personal trainer was furious, and had been lecturing both him and his lifelong companion ever since the fight had ended. “Tch, gimme a break. I wanted my first fight to be fair and not some snooze fest. We all know that if I had brought Vulcan along, the fight would have been over in literally two seconds.” Vulcan couldn’t help but feel ashamed, as he hid himself behind Apollo. The bear was typically a rambunctious one, but even he knew his place in the presence of Apollo’s master. “Literally two seconds? No, it would have been over in figuratively two seconds. I thought I had taught you better, Apollo..” the Fanalis said, wiping the sweat off of his frustrated brow. After a brief moment of silence between the two, the man before Apollo had finally cooled himself off. “Anyways, let me see those wounds of yours. It would be for the best if you didn’t pass out on me from bloodloss.” The chiseled man would say, stretching his arm out towards Apollo’s wounded shoulder. He had already prepared the antibiotics, so all that was left was to stitch it. While the wound wasn’t immediately life-threatening, it was still dangerous if left unchecked. Especially after how much blood Apollo had lost already. Later that day, Apollo would find himself back out on the streets of Reim. He had taken considerable damage during his fight with Rufi, so he had a bit of time to kill before his next battle started. His shoulder still hurt like hell from being stabbed, but the medicine his master had given him helped numb the pain some. “Damn, I hate to admit that he was right, but he’s most likely right.” Apollo would say, clenching his teeth out of irritation. His companion, Vulcan, would simply look up at him with the same pissy stare he had been giving him all day. As if to say, Told you so. The duo butted heads quite a bit, but it was usually out of affection. Upon hearing an unknown voice, Apollo’s senses would begin to heighten. He wasn’t entirely sure, but it sounded like it came over from the next block. Without even getting much time to react, the Fanalis would soon come face-to-face with three unknown people. 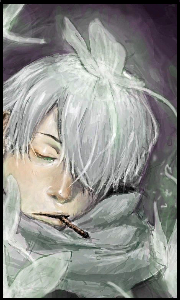 It would start off with a sudden snap against the pavement, and a strange smoke leaking out from the alleyway. Then, a sickly man would make his way through the cloud of smoke, vomiting. only to be caught in his tracks by a strange woman with teal hair. She simply paced her way towards him, flicked her scarf around his neck, and thenslammed his face against the hard ground. Following her, out came a young looking lad. She would immediately turn towards the boy after the man was dealt with. He couldn’t hear what they were talking about, but he wasn’t just going to sit there and watch. “Hey, the hell was that? I heard some chick yelling about her purse, so was this the culprit?” Apollo spouted out, not showing any form of manners. Despite him coming off rude, this was simply Apollo’s personality. He wasn’t the kind of guy to shyly talk to someone he didn’t know, nor did he care about whether they were stronger than him or not. He was a very cocky young man, similar to his sister. Appearance: Vulcan is an average sized Sun Bear, standing in at only 149cm and weighing around 73kg. He has a short brown coat of fur which tends to stay very glossy all year-long, and an orangish circle which can be found in the middle of his chest. 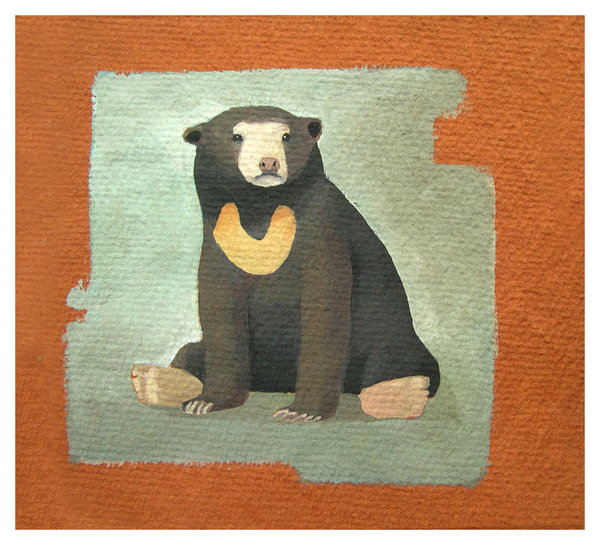 Trait Description: Despite it's small body, a Sun Bear's strength is not to be underestimated. Training alongside Apollo has made Vulcan much stronger than the average Sun Bear. Trait Effect: Grants the beast extraordinary strength, allowing its basic attacks to deal C-Tier damage. Trait Description: Unlike most Sun Bears, Vulcan's saliva has a healing property to it. This is very similar to how a dogs saliva works, except much more potent. Trait Effect: Allows the beast to register medicinal saliva-based abilities. Trait Description: A Sun Bear's nose is incredibly sensitive, much more than that of a human's. This grants Vulcan an incredible sense of smell, allowing him to track down his prey without fail. Trait Effect: Grants the beast an extremely strong sense of smell, allowing it to track someone/something for miles on end. When following the trail of black rukh, Azmot had unknowingly twisted his fate awry. In a series of coincidental happenings, a beautifully dangerous woman had appeared and rendered the host of darkness unconscious in a single stroke of calculated action. Somewhere in the subconscious, the part of Azmot's brain that was dominating the 15 year old pubescent boy was engaging in a heated discussion with the part of Azmot's brain that controlled fight or flight. The result of this filibuster left him standing, frozen, in a shocked state. He stayed this way until the man hit the ground. Then, a symphony of questions overlapped in some kind of discordant hollering. Or, maybe that's just what it seemed like to the young magician. Either way, they snapped him out of the fear-freeze. "So, why were you following this buffoon?" Somehow, he came to the decision to deal with the questions chronologically. His eyes didn't move off of the unconscious man, though the woman somehow refused to remain in the periphery. It was like her presence shrunk itself many times over and all that remained was a speck of dust that you could only see when the light caught it, and you were looking at the empty space where it happened to materialize. "I-I was following the sickly looking rukh.. I've never seen them before." His voice was distant, detached. The anxiety was a bit too much - on a whim, the woman (or apparently just anybody) could play with his life like a cat would a corpse. This realization was a burden that would not be lifted from Azmot for many years. "And yeah, that's the guy.."
The cloud of darkness that poured from the man moved in a lazy, mystifying wave. The black rukh moved toward the shadows like snakes in the grass. They looked so harmless, so exotic. The obsession was fostered, the spring shower watering seeds, as does all light eventually father darkness and foretell winter. For now, the light burned strongly, and emblazoned courage. At least, what could be considered courage in the context of Azmot's normal tenacity. "That's pretty cruel, what you did to that guy, don't you think?" For the first time, his eyes drifted away from the unconscious thief, and swam into the eyes of the assassin. The seeds were further nourished. The dark rukh danced around her like oil-covered snowflakes, mesmerizing the boy. Azmot was glad that the courage to speak up had come before he decided to look at her, otherwise the congressional hearing within his mind would have met partisan gridlock. The black-light that the rukh offered made the assassin seem otherworldly, an eldritch beauty. The magician's heart dared to beat faster, out of a mixture two-parts fear and one-part excitement. Flight was currently winning the house over fight, but the third party was making stronger arguments by the minute. He felt as if he, the spell-caster, had fallen into a hex. What Azmot could not see was the growing conflagration of white rukh that was pooling at his feet, ever gentle. There were few, and they stayed low, almost defensively, as if they anticipated that the black rukh would strike soon. Time passed along the message of silence, for the smallest moment. "That," the woman said, her attention swiveling to the halfling and his bear, "was a rather potent toxin I made myself. It's designed to make the recipient incredibly nauseous. So much so that they cannot function normally." 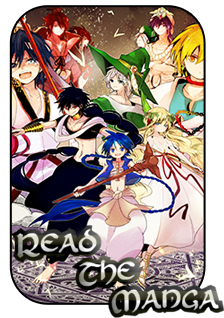 The black rukh that pushed around her body only added to the coldness in her voice. "And no, I don't think it was cruel. I provided him with a pleasant choice, and he chose the infinitely more difficult path. If anything, you could argue that rendering him unconscious was an act of mercy. Look at it this way, he's no longer vomiting everything in his digestive system." She turns her attention fully to the white haired boy. "The real question is, who the hell are you?" She mimics his tone halfway through her sentence. "It's rather rakish to simply demand answers from a situation with such authority, isn't it?" She narrows her eyes at him. "If anything, your eyes should have been able to answer those rather unnecessary questions for you. After all, you were here for everything relevant." Her eyes catch sight of the rather pint-sized sun bear. "I take it the bear is your companion?" She chuckles. "You'd do well to learn a thing of silence from him." She paused here, absorbing something Azmot had said. Sickly looking rukh he had called it. She approached Azmot, so young in comparison, and lay her hand on his cheek. " Long ago I was told my rukh looked blackened and diseased, although I never thought anything of it. It was nonsense, really, just like the babble that fools spouted about living in accordance with one's fate. But your eyes tell me something different." She drops her hand from his cheek, addressing both men at once. "Life is series of choices at it's core, yes?" Her hand gently retrieves the purse from the thief, pulling Azmot's hand out and dropping the stolen bag into his hand. "I should give you my name..." She sweeps her eyes across both boys once again. "I'm not sure I trust you yet. Call me Hemlock. It's something a little more...clandestine." Apollo couldn’t help but silently chuckle at the woman’s response, somewhat relating with how she dealt with the matter. He hadn’t any history with toxins, but the way she dealt with things seemed similar to his own methods. "The real question is, who the hell are you?" Apollo would ponder this question for a moment, and as different as he might have been from his sister at times, they still shared a stupid amount of family pride. “Apollo, Apollo Corvus.” He would state proudly, bending down to place his scarred hand upon Vulcan. “Ignoring the first bit you spat out, yes, this indeed is my companion. His name is Vulcan, and beware of his normal pissy attitude.” Apollo would state, bopping the creature on his head softly. Picking himself up from a hunched state, Apollo would begin pushing against his back in order to pop it. Instead of mouthing off further to the stranger, he decided to take a much more silent route. He would continue listening to both her and the boy talk about “rukh”, something he’s only really heard in stories. He wasn’t entirely ashamed after realizing he didn’t have a clue of what they were talking about, instead he would find himself simply not really caring much. He would simply drown out the background noise, thinking to himself in the meantime. Azmot wasn't sure if it was the adrenaline, or some other hormones, fading, but information that he had subconsciously been pushing away started to rush to his awareness. Apollo had appeared from the parts of the magician's vision that did not include the thief and the blue-haired woman. And next to him... a bear? More adrenaline. As Apollo spoke, Azmot found himself being overlooked, which he was happy about. Mostly. This was easily the most eventful day of his life (which didn't say much) and part of him still feared that this would be the last. The white rukh began to whisper, in the non-vocal way that they did, in an attempt to soothe Azmot. A single touch from the assassin was a drop of soap in the pepper-water of rukh that had begun around him. They fled, and his mind was filled with a hot, dense fog. Blood pooled in his cheeks as if it were rushing to a wound - quickly and noticeably, with the deepest shade of red signaling embarrassment. Then, she took him by the hand (which was way more than Azmot could handle, already) and placed the stolen sack in it. All of this physical contact drowned the voice of Apollo, not that anything he said was directed at the magician. He was mesmerized, and could only hear the voice of Hemlock. His voice responded without his mind's consent, some semblance of politeness shining through his vacant gaze. "Mine's Azmot... a pleasure." The sentence was bifurcated by silence, in which the boy desperately searched his psyche for traditional introductions. He ended on something that might normally seem romantic, but rather sounded clumsy and misplaced to his personality. After that, he didn't really know what to say. So, his eyes shifted once to Apollo, but found their way back to the assassin, Hemlock, eventually. Was this what they called "love"? Most definitely not. This was the beginning of obsession, for while his eyes affixed themselves to her body, the darkest recesses of his mind were taking in the beauty of the ebony rukh. "See, now you're starting to think properly." She nodded at Apollo. "If I don't want to share my name, and, as you said, am wasting my talent on such a simplistic fool, then perhaps you can also figure out what I truly do, and why secrecy is as common a tool as any weapon I carry." With this, she raises the fabric of her scarf, revealing the drape of knives and razors that cover the inside of the fabric. "After all, Apollo, even the tiniest of spiders can fell the mightiest of beasts." She chuckles, "And I would hardly call your bear a "Tiny Spider.' In short, yes. Everything and everyone can be a threat to my line of work, regardless of how unsavory it seems. Hemlock is a name I was given, and death is my trade. If you'd like a bounty cashed in your future, I'm sure you can manage to find me. After all, the Corvus family has many resources other's simply don't have access to, right?" She approaches Apollo, extending her hand for a mutual greeting as her voice dropped to a whisper. "Besides, most people wouldn't take kindly to hearing the name of a woman from Kou, even if she abhorred the idea of colonization." Her eyes meet his with a stern, narrow gaze, her voice returning to normal. "I trust you'll be satisfied with that answer, yes?" She turns, moving back towards the narrow walls. "I'd hate to see your curiosity left unsatisfied." Her voice drifts to Azmot one last time. "The same goes for you, boy. If you need someone erased, just follow the black again." “Secrecy, ay? Never needed such a thing, personally.” Apollo would say, still somewhat bothered by her presence. The halfing’s interest would be peaked, however. As Hemlock raised up her scarf, revealing countless bladed-weapons inside of it. "After all, Apollo, even the tiniest of spiders can fell the mightiest of beasts." she would laugh, wrapping the scarf back around her neck. She was an interesting one, though frankly, it sort of freaked him out. Someone this dangerous within Reim, it was only a matter of time she’d enter as a coliseum warrior as well, no? No, most likely not. She claimed to be a woman of secrets, not a blunder-head gladiator such as himself. The way she treated the talk of death, she was someone to be feared. Someone Apollo would rather not get involved with, unless absolutely necessary. She would begin walking towards Apollo, offering a greeting in the form of a handshake. Upon clasping his own hand around her’s, she would immediately bring him in closer, whispering to him. "Besides, most people wouldn't take kindly to hearing the name of a woman from Kou, even if she abhorred the idea of colonization." ‘Kou? Hm.’ Apollo thought to himself, wondering if by any chance Diana had crossed this woman’s path during her journey. “Heh, there’s no way my curiosity could be tamed by some ramblings of a mad woman. Though, I suppose it’s good enough.” The white-haired man would chuckle out, watching as the woman lept towards the rooftops. Upon saying this to Azmot, Apollo too would take his leave. He would place his hands inside of his pockets, and merely begin strolling back down the tiled path. He was quite lucky to have avoided a fight there, with that assassin chick. His shoulder was killing him, he could feel that some of the stitches had ripped after tensing up back there. Apollo couldn’t afford sitting out-of-commission for too long, he had to get back to training soon.